The price for all 8 sessions is DKK 599 including shoe rental. Brooms can be borrowed from the club. It’s now possible to register for the course beginning in the fall of 2019. Do you want to meet new friends in Aarhus with a fun and challenging activity? 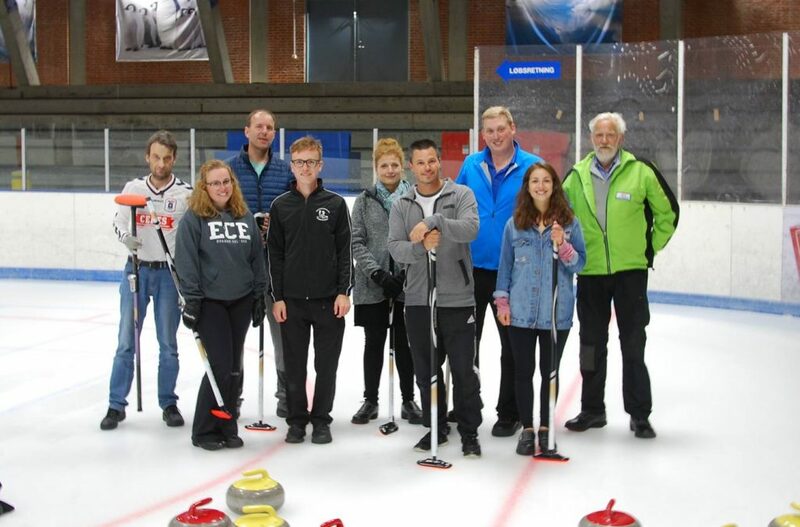 Start playing curling and experience a unique sport with a unique social environment. Activities is a great way to get to know the Danes. Curling is well known as a breathtaking television sport and winter Olympics are just around the corner. Now you can learn all about the fascinating game with other beginners. Learn how slide, shoot sweep and how to make the right tactical decisions that will secure victory for your team. Curling is characterized by offering a unique social community for both game nights and weekend events with your team. Are you tired of single-person performance in sports and work, lonely exam times and exclusive clubs? Then curling will surpass your expectations. For the Kick-Off course, we welcome all new participants, all starting from scratch with custom training. You get 8 weeks of training with sports and social activity. Each training course focuses on a technical element like tactics, sweeping, balance and communication. After a brief theoretical intro, we will enter the 42-metre-long ice sheets and try it out in practice. On the ice there are technical exercises, tactical considerations, physical training, competitions and point games. Therefore, the training is both varied and challenging for you. After taking the course you will be fully prepared to play curling on a regular basis with your team and other club members. Duration: Saturday evening for 8 weeks. You can sign up alone or several people together. You will be on a team with other beginners and you will progress together. For registration please provide adresse contact info and shoe size. Classes will be for both English and Danish speakers separately.